I have an input point layer that is grouped into clusters, so I want to have each cluster of points converted into polygon. This question (How to convert a set of points to a polygon based on a specific field in QGIS) seems to come close to what I wanted by it hasn't been answered. So basically, I need an algorithm in QGIS that will convert each cluster of points (based on attribute field) as seen below into a polygons? A copy of my data is found here. Convex hull - as mentioned by Kazuhito - is one option, but - depending on the cluster shape - you will get more appropriate polygons using concave hulls, for example implemented in ConcaveHull plugin. You may be interested in Convex Hull which is in Processing | QGIS geoalgorithms | Vector geometry tools. There is Field option which can be used with Method Create convex hulls based on field. 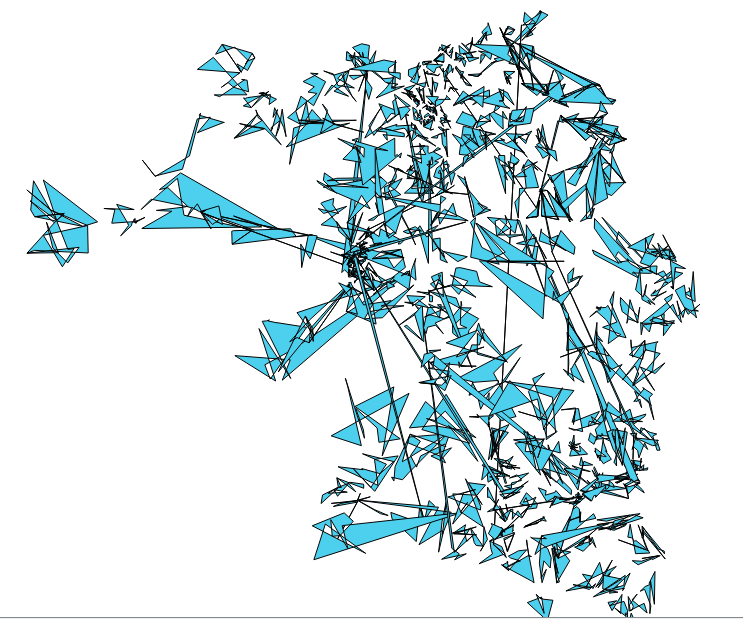 Or from the menu Vector | Geoprocessing Tools | Convex Hull(s). Many Thanks, Techie_Gus and underdark for information. Not the answer you're looking for? Browse other questions tagged qgis polygon qgis-plugins point-in-polygon plugins or ask your own question. 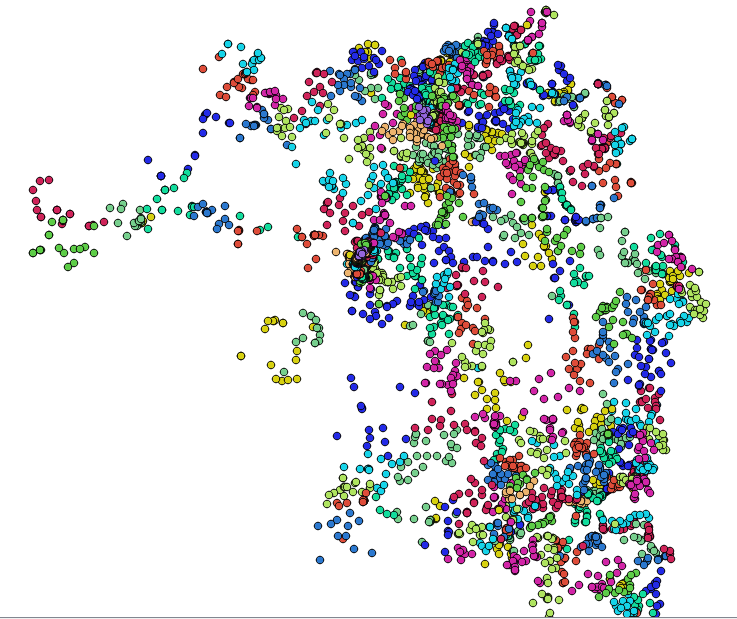 Identifying clusters in vector point data using QGIS? Grouping corner-touching contiguous polygons using ArcGIS Desktop? How to divide my area into adjacent polygons containing 80 points each? Combining intersecting polygons into one polygon using QGIS? 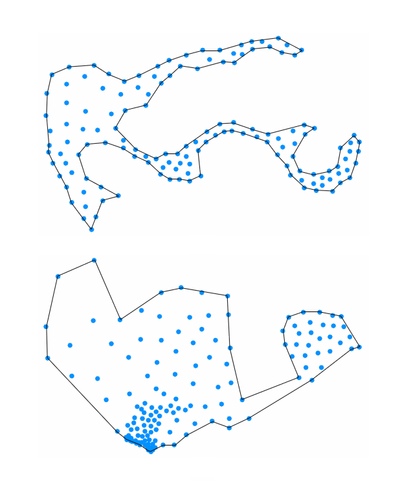 Clustering points/polygons based on proximity (within specifed distance) using QGIS?